Approved by British Allergy Foundation. 100% hair removal and highly recommended for all allergy sufferers. Fluffy, cuddly or sloppy-jowled pups are irresistibly lovable, but unfortunately, they rank high on the list of allergenic dogs. So, before you head to the shelter to adopt a furever pup, take a look at this list of 13 dog breeds that are the worst for children with allergies. The Akita has a beautiful coat that comes in many colors, but it heavily sheds its coat in the spring and fall, making it a poor choice for kids with dog allergies. 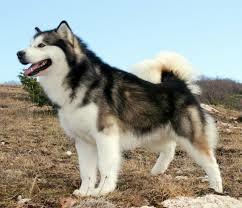 Well-attired in a thick double coat, the Siberian Husky sheds a ton all year but lets loose of its "blow coat" twice a year. No one can escape it. Another non-hypoallergenic dog, the German shepherd is sometimes called the "German shedder" because it drops fur year-round, especially in the spring and fall. The Alaskan Malamute also has a biannual "blow coat" along with constant daily shedding, which can quickly affect kids with dog allergies. Because the Chow's irresistible cuddly coat comes out in handfuls when it sheds, kids with dog allergies need to keep their distance. The independent Chow will appreciate it, too, because this dog breed isn't big into hugs. Who can resist running their hands through the gorgeous coat of the Great Pyrenees? Children certainly can't, and kids with pet allergies will find themselves in a fit of sneezes with this heavy-shedding dog. In addition to the never-ending shedding, the larger-than-life Newfoundland is also a drooler. The combination of giant canine, endless fur flying and drool slinging is a sneeze- and wheeze-inducing trifecta for kids with allergies. Although the lovable Lab doesn't sport a long coat, this non-hypoallergenic canine does shed, and the resulting dander can lead to allergic reactions. The Doberman pinscher sports a smooth coat, and although it does shed less than a long double coat, this devoted dog drops dander more than other smooth-coated dog breeds. 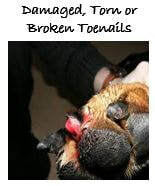 A well-known drool flinger, the bloodhound is also a heavy shedder. Although this affectionate dog is considered a child-loving dog, there is no way to overlook the pools of drool and the constant shedding of fur. Drool, drool, slurp and more drool, the English bulldog can't help but leave saliva everywhere. 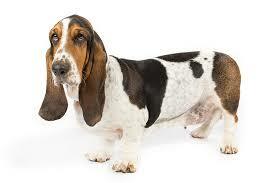 In addition to leaving wet spots on most surfaces of your home, this non-hypoallergenic dog also sheds fur and dander. 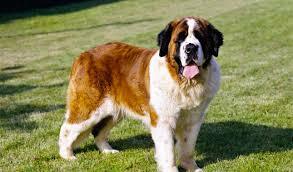 A giant of the canines, the Saint Bernard sheds big and drools big. Despite how much it loves children, kids with allergies need to be rescued from the allergens when this dog is in their midst. Hypoallergenic dogs are the answer to dog-wanting allergy sufferers everywhere. These breeds are low-shedding, which lessens the amount of hair tossed into the environment to aggravate your allergies.